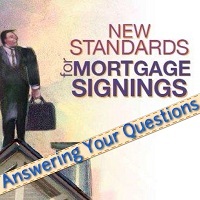 Many signing agents have been asking questions about the status of background screening standards in 2015. The NNA reached out to Shawn Murphy, chairman of the Signing Professionals Workgroup and executive vice president of ValuAmerica, to help answer these questions from Notary Signing Agents. Some signing services are asking signing agents for background screening information beyond what is recommended by the SPW in order to be considered for assignments. What does the SPW think signing agents should provide in order to ensure compliance with industry standards? Both the SPW and the NNA agree that a certificate from a vetted background screening company stating that a Notary passed the screening should be sufficient. Please keep in mind that the SPW is establishing voluntary best practices and companies can choose to overlay additional requirements for any number of reasons that are outside our sphere of influence (e.g. greater security for the borrower, the compliance team determines it’s necessary to mitigate risk, comply with audits, etc.). What is the SPW currently working on? Does the SPW plan to develop standards for signing services and other companies in addition to its standards for signing agents? To date, the SPW has focused primarily on background screenings and the knowledge signing agents need to have. The committee is currently focusing on the exam and working to centralize vendor-neutral background screening verification so Notaries have fewer hoops to jump through in order to work with multiple companies. For more information regarding common concerns surrounding Notary background checks, see these five myths about background screenings explained. Why do we have to do back ground screening every year, and the test every year. The expense is getting a bit much. More difficult than screening for president or a gun! I agree with Pauline on questioning screening and testing each year. I believe it is just a sweet Money making machine for NNA. Please advise your reasoning. Hello Pat. We understand your concerns and you’re not alone. The SPW included annual background screenings as part of its standards because federal regulators like the Consumer Financial Protection Bureau are cracking down on lenders, implementing thorough audits and holding lenders accountable for the actions of any third-party servicers they work with. The SPW has communicated to us that lenders need to make sure critical borrower information entrusted to Notaries remains secure in unsupervised environments like a signing agent’s home office. Lenders are ultimately responsible for the conduct of any third-party service providers, making it critically important to verify that the people lenders send to borrowers’ homes are trustworthy. Several companies have already started implementing rigorous background screenings to ensure that all of the necessary federal, state and local records have been searched and that they can verify the results. While some states request criminal conviction disclosures on the application form for a Notary commission, a lot can happen with a person in a year and the vast majority of states don’t have laws requiring applicants to get a background screening in order to become commissioned Notaries. While California does require Notaries to undergo a background check, the results of state-run screenings are not independently verifiable by the public, so it still doesn’t satisfy the needs of lenders if they are audited. We know this change has caused some bumps in the road, but the ultimate goal of the SPW’s standards is to better protect consumers and their financial information. Protecting signers is an important responsibility for both Notaries and the regulatory agencies driving these changes. I agree with Pauline regarding the constant upgrading and the cost involved. Add to this the need for all new Ack and Jurat pads after the change starting this year, and it seems hard to keep up with all the additional expenses that keep growing...even as signing fees do not. I do appreciate the need for security and screening. But annually is overdoing it a bit. Second to the expense is the question as to why they need to see the details of the background report? If I pass the background check and get a certificate from NNA, they should accept the certificate and not demand the full report. One- I am a contractor and a corporation. As such I use my EIN not My SSN. They do not need to know my SSN. Second- My date of birth and DL are none of their business. They hired me because I qualified...not as an employee. Would you demand the DL number, SS number and DOB of the company owner when you hired that plumber???? I see the annual update as a cost of doing business. It is about 2/3 of 1 signing appointment. Considering I handle hundreds of signings in the year, this seems like a reasonable expense. Taking care of this paves the way for the most flexibility to work for many companies. I make it up by insisting on getting paid the appropriate fee for the service I provide. I agree with Laura. It is a cost of doing business. The borrowers are in a very vulnerable position with Signing Agents. We have their personal and financial information at our fingertips. We are entrusted with this information by the lenders, title companies, and the borrowers. We know we are trustworthy, but our clients don't. Proof must be provided. Sorry Sonja, that won't fly. In NC we are COMMISSIONED Notaries through the NC Secretary of State and our County Register of Deeds. This isn't a Mickey Mouse type of service. Even lawyers use our services, so I shouldn't have to prove anything more. What disappoints me the most is that I tried to get NNA to complete a background check, only to find that I'm expected to go through their signing agent process. Mind you, I can prove 10 years worth of signing services, have my own EIN and corporation, degrees and other licenses. Fortunately I found a company that was acceptable for only $30. Hello. If you would like to obtain a background screening through the NNA, our Customer Care Team can assist you at 1-800-876-6827, or you can order a background screening package online at NationalNotary.org/signing-agent. Please let us know if you need any further assistance. I think that the FIRST background check is warranted as it searches 7-10 years back but annually thereafter should cost considerably less since they only have to go back one year. I am a veteran who has held top secret clearances for a full career and even the Military only updates background checks every 5 years. I agree that it is the cost of doing business, and deductible at tax time, but still the cost is too high as an annual requirement. NNA should consider lowering the costs for renewals. in response to Beth Hathoot, I redacted a copy of my report for submission to signing companies. If that doesn't work for them then I can't work for them. you are absolutely right, there is no need to know SSN or DOB let alone every address at which I've ever lived. The background screening every year is all about money. All government jobs, Federal, State, City and Military don't even do background screening or investigation every year. 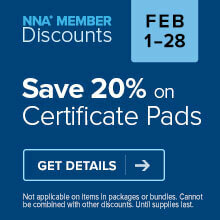 Now that we as NSA must have the background screening mandatory I think the NNA should lower the Price. Same with the exam. Federal, State, City and Military take exams only one time for the job they are seeking. Then, all they do is take training during their career to keep updated on the job they have. Hello. If you obtained your background screening through the NNA, you can contact our Customer Care team at 1-800-876-6827 to check when yours expires and for assistance renewing.